Oh, yes you can! A running coach will tell you how. 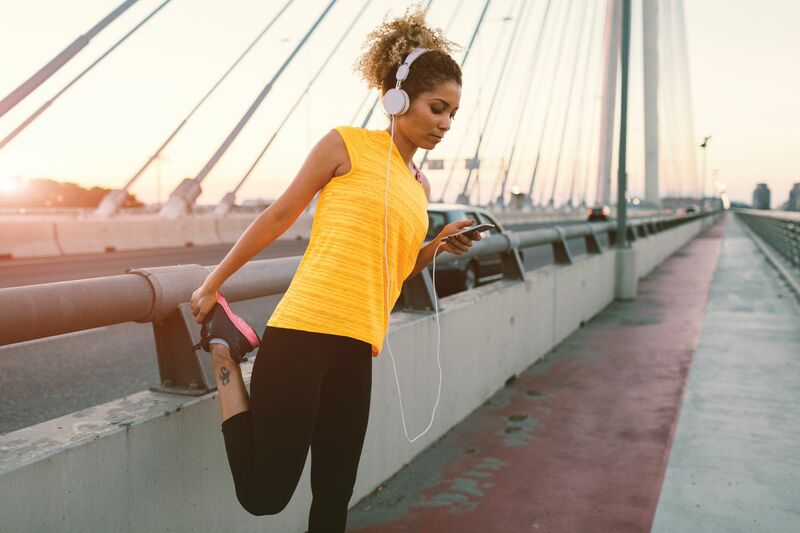 Get lost in a playlist guaranteed to get you moving! Zakia Haywood is the director of community services at New York Road Runners. I am a runner. Running, for me, is therapeutic. It’s tranquil. The simple act of putting one foot in front of the other allows me to let go of the day and move forward. I’ve run the Boston, Chicago and New York City marathons. I spend hours planning my training and race schedule for the coming year. I sometimes get up in the morning before anyone in my house is awake to squeeze in a run. Running isn’t easy, but when you reach your goal, you feel great. I don’t keep this to myself. I coach. I’ve always wanted to be either a teacher or a counselor and coaching others allows me to be both. I’m lucky because my job is my passion, to get all kinds of people—children, senior citizens, everyone—up and running! Most of the people I coach have never run before. They laugh at me when I tell them I’ll get them ready to run a race. They tell me they can hardly run a half block to catch a bus. That’s in the beginning, though. When I see the people I work with get stronger, run faster, run for longer, it’s as big a reward for me as it is for them. I’ve coached women who have struggled to walk any distance at first go on to run 3 miles in under an hour. When they started, it took twice that long. Then 90 minutes. They get better and better. Every time I see it, it’s pure joy. I do this because I want to eliminate the stigma around fitness—it’s not just for people who are already fit. It’s not just for athletes. Anyone can do this. You can do this. My mission is to get you from the couch to the 5K! A 5K is a 3-mile (5 kilometer) race. How far is a mile? It’s four laps around a standard running track, or 1,600 meters. Have I lost you already? We runners use a lot of lingo. Don’t worry. If you don’t understand it today, you’ll learn. What seems impossible in the beginning becomes second nature. You learn through doing. If this sounds like a challenge you’d like to try, think of it like an adventure. You may have been an athlete once, or maybe you’ve never worked out in your life, or maybe you just don’t like to sweat. Wherever you are today is OK. It doesn’t matter where you start—what matters is that you start. Think about what you want to do—no matter how big it is—and write it down. Maybe it’s running a race. Maybe it’s not about the race, but some other fitness goal. Once you have it down, it becomes real. You can figure out how to make it happen, but get it down on paper so you can reflect on it and refer back to it when you need that extra push. When you want to get started exercising, you should see your doctor. You need to know where you are and what’s going on with you physically. What is your blood pressure? Do you have any conditions you need to be mindful of, like diabetes? Talk to your doctor about your fitness plans to ensure they’re right for you. You need to take care of yourself as you begin your new adventure. Cut the fast food and get some sleep! You're a performance machine. You won’t function properly without the right fuel. Start paying attention to the calories, sodium and sugar in the food you eat regularly and find alternatives. Skip the sodas. Avoid take-out places—too much fat and salt. Personally, I am a fan of eating smaller meals and snacks more frequently throughout the day. I like to carry low-sugar granola bars, carrot sticks and fruit for quick snacks. Likewise, you can’t function on five hours of sleep. You’ll crash. Carve out the time to get to bed earlier, aim for at least seven hours a night. When do you need to get up to start your day? Count back from there. You really do have to walk before you can run. Some people with lots of experience can roll out of bed and run a half marathon, but you might not feel great if you tried it. You have to work up to it. I have to do it too. If I plan to run a full marathon (that’s 26 miles—you’ll get there!) in October, that means I start training in January, running a half marathon every month! Remember, start small, but start! Get comfortable with the changes. Running can seem a little selfish. It takes planning. You have to commit to getting the workouts in. Be prepared for your friends and family to try to talk you out of reaching the goals you set for yourself. They might not like you making a little less time for them. They might criticize you for doing things that are unfamiliar to them. Make peace with taking the time for yourself. It’s not selfish—it’s self-care. No one is going to take better care of you than you. Take the time for yourself and don’t feel guilty. Try to find another person or group of people to do this with! Meeting new people on your journey will inspire you, and you can hold each other accountable when the going gets tough. Make sure you’re each doing your workouts. Ensure that everyone shows up to the track. Talk to each other about your frustrations and fears. Celebrate each other when you succeed. You’ll find you’re all stronger together. The best way to learn is to teach, so be willing to help someone else get started on their own journey and share what you’ve learned. You’ll have plenty to share. As your workouts intensify, as you learn your pace and your rhythm, as you change what you eat, as you compete, you’ll learn important information that will be valuable to someone else. And will allow you to see how far you’ve come. Want to learn more about Zakia’s coaching in action? 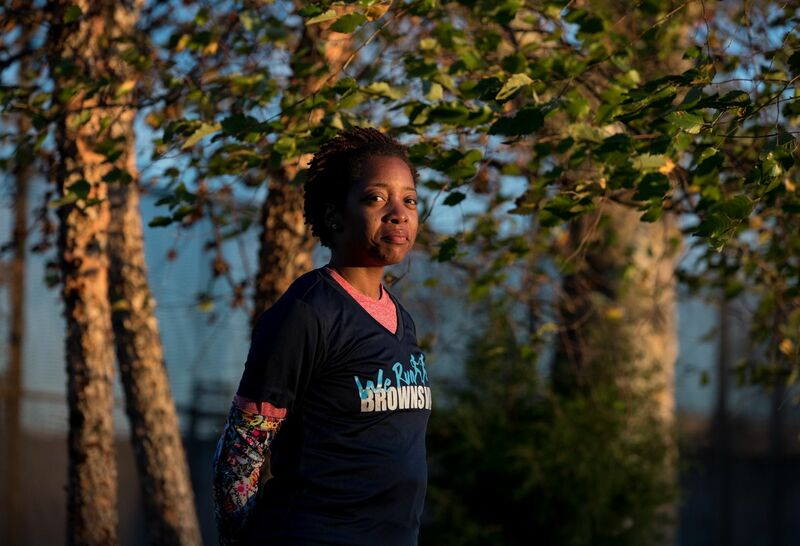 Read about the inspiring women of We Run Brownsville.